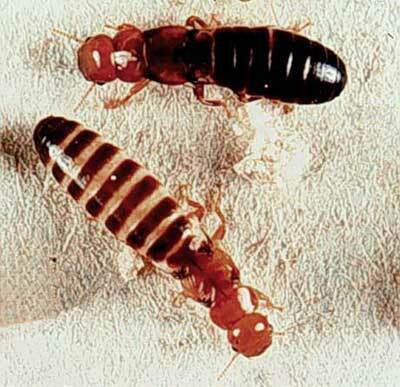 The following are pictures of queen termites. Termite queen pictures tend to be rather shocking. 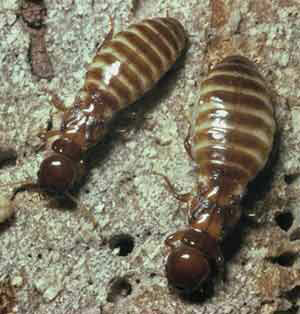 Termite queens are UGLY! 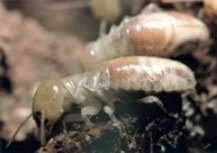 After starting a colony queens termites change into egg laying machines. As they age, their bodies become more and more elongated and bloated. As queens get older, their egg laying capacity also increases. 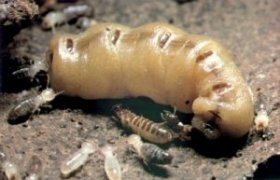 So a new termite colony will start small, but get progressively larger as each year passes. 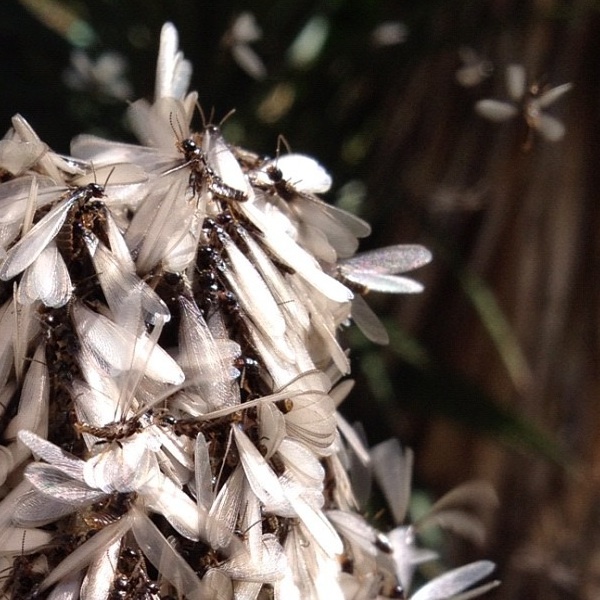 The following termite pictures show queens of different ages and different termite species too. 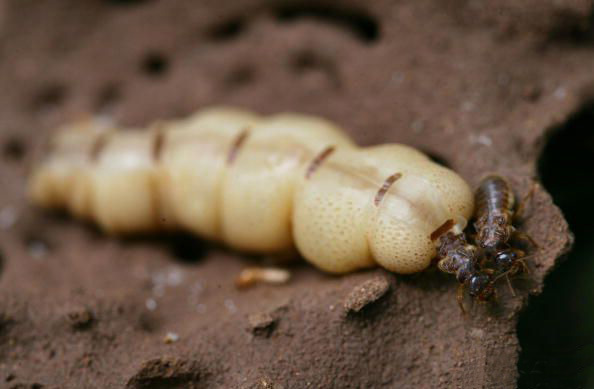 Formosan queens are capable of laying up to 30,000 eggs a day. Due to that quantity of eggs, their bodies bodies grow and expand considerably to reach that capacity. 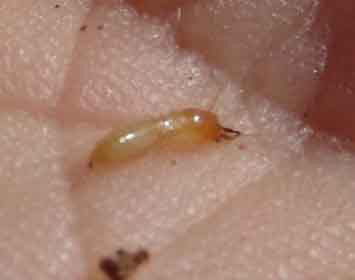 The drywood termite queen is the bottom stripped termite. 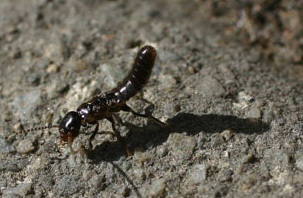 The darker colored termite in the upper part of the picture is the drywood termite king. 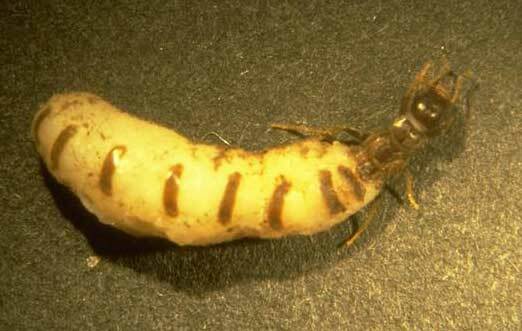 The termite queen pictured here is a very young queen that has just shed her wings. When they are looking for a mate, the young queens will raise their abdomen into the air and give off a pheromone to attract a suitable make. 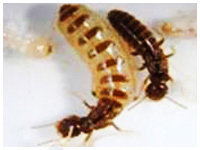 The dampwood termite queen is on the right, the king is on the left.